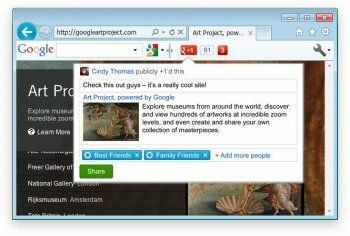 Google Toolbar increases your ability to find information from anywhere on the web. 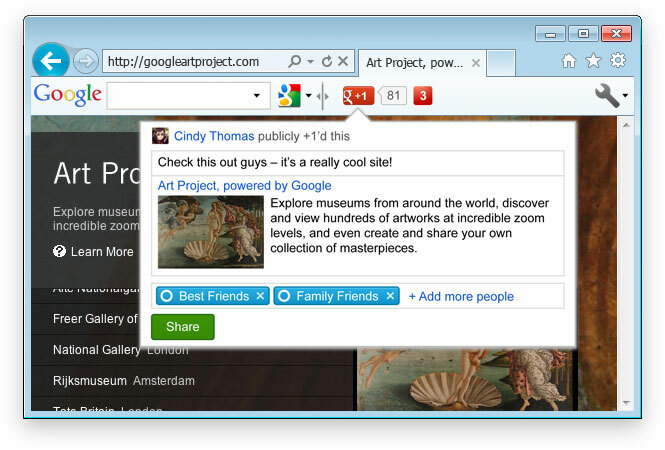 The toolbar appears along with the Internet Explorer toolbar. This means you can quickly and easily use Google to search from any website location, without returning to the Google home page to begin another search. I hate toolbars in any shape or form! I input a search query, and was overloaded with spyware. Who is stupid enough to use Google anything? It's spyware folks. Wake up! who still uses Internet Explorer ???? I don't have a problem with toolbars themselves. Most of them anyways. Yes some of them are just adware/spyware junk. My problem with them is that companies, like Google, install them automatically or if not automatically set to install by default. They slow down the browser and I am sick of removing them all the time. Thankfully it has gotten a lot easier these days to remove them. Thank God they are banned in Chrome. Now if only IE and FF would ban them too. I should install and run a toolbar that phones home continuously, allows tracking of my whereabouts and search criteria for ad purposes to be sold to the highest bidder, is a SERIOUS privacy violation from a company with the worst privacy record imaginable and in general is just a candy-coated piece of malware? And the worst part is that so many users are running (not walking) down the "Too Stupid To Live" road to install and run it. It's a pity there is no negative rating. Avoid anything and everything form this company. As a security analyst, I can only way that their practices are despicable. I really, REALLY don't know who and why invented adding toolbars to the browsers. It's totally useless! USELESS. It doesn't even diserve a one star in my book. ANY browser toolbar. I hate toolbars with a vengeance! Google put this program where the sun don't shine. It's a 24/7 proctology exam. SPYWARE! Type the phrase, "Is Google Spyware?" in your favorite search engine and see for yourselves. still using googlebar over this. similar features, hidable via button click, and the youtube and other extra searches are worthless in google's toolbar. the advanced buttons search inside the tiny search box and not the websites? wtf? if i want to search youtube, i dont want the results popping down in a 400x400 pixel box, i want them in the browser's page. maybe i missed a setting somewhere but searching with the non-standard google buttons is more annoying than going to the individual websites.